For the first time in its nearly 20 years of existence, WADA is facing tough questions over competence, purpose and politics – questions that threaten its very future and the landscape of drug control in sport as a whole. This pressure is coming from all sides, starting with allegations of bullying from Beckie Scott, the Chair of the organization’s Athletes Committee. This was quickly followed by claims from American Ed Moses that he had been told to “shut up” by WADA officials. (Scott and Moses have long been figureheads for WADA’s “clean sport” campaign.) An emergency meeting of athletes was held at the White House, supported by the U.S. Anti-Doping Agency (USADA). At the heart of much of the recent dissent has been anger around the reinstatement of Russia following the massive state-sponsored doping programs prior to the 2018 Olympics. Leaders from National Anti-Doping Organizations (NADOs), including American Travis Tygart and Australian David Sharpe, have been publicly critical of that decision. WADA’s President, Sir Craig Reedie, has defended his organization, but his announcement that he will not stand for re-election next year has prompted speculation about a leadership struggle, largely sparked by the Russia crisis. One potential candidate, Linda Helleland, now a Vice-President, has been openly critical of the Russia decision. With WADA at this type of major crossroads, what might the future look like for anti-doping? There are no easy answers for anti-doping. WADA is a small organisation that relies on funding from the International Olympic Committee, and upon various NADO organizations and a network of accredited labs to do a trustworthy job of testing and educating athletes. The Russia scandal has shown how that system can be corrupted. It also shows how tricky the politics can be when there are so many competing perspectives, vested interests, and political actors involved. Beyond these headline stories lie three other thorny and thus far unresolved problems. First, and at the fundamental level, it is becoming increasingly clear that laboratory testing simply hasn’t proved proved to be an effective means to prevent doping; it is expensive, inconsistent, and those with sufficient support from doctors and laboratories can beat the system. It is also unevenly implemented: in some countries and sports there is hardly any regular testing in place. A second problem is the stripping away of athletes’ rights through involuntary consent and their access to a normal legal defense process. Many clean athletes are regularly tested and have to endure the embarrassment of urinating in front of a stranger, and the privacy-eroding whereabouts monitoring system. Under the current system, the athletes are generally treated with suspicion rather than as key contributors and stakeholders in the sport. Lastly, very little can be done to address the problem of under-monitored and often unregulated drug supply routes, meaning that athletes can easily access PEDs with – or without – proper medical support. Many hope that solutions to these challenges could begin to happen with a change in leadership. However, in reality, any new President will face tough choices if WADA is really going to radically improve the nature and impact of the organization’s policies. So what might be next? Short-term Prospects: The political negotiations around WADA’s leadership will expose many of the internal divisions and the sleepy bureaucracy of its current governance structure. At the same time, there is an ongoing stakeholder consultation process for the 2021 version of the World Anti-Doping Code. Over the course of the next 12 months, lobbying and continued mobilization of athlete unions will lead to stronger representation for athletes’ rights, and quite possibly towards a collective bargaining situation. However, athlete unionization remains weak in some sports and stronger in others. For example, the World Players Association is becoming a powerful umbrella body for professional team sports, while other niche sports like cycling continue to suffer from very weak or non-existent athlete associations. This process begs the question of what the athletes actually want. Right now, it’s easy to organize interests around the Russia context – a convenient bogeyman, a folk devil around which to focus moral outrage. 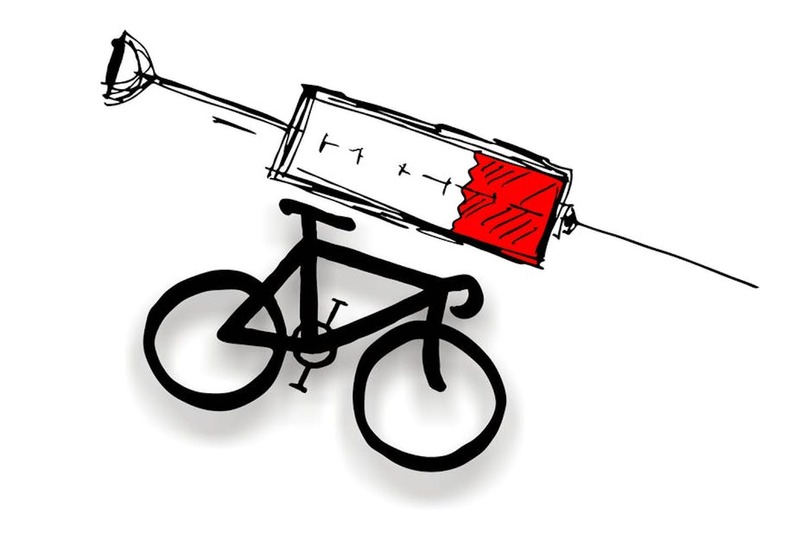 One would expect that this would tend to lead to additional anti-doping controls. However, some research and policy advisors have been suggesting athletes may actually need protection from the excesses of anti-doping. It is much less clear how athletes would respond to more liberal suggestions such as reducing the size and extent of WADA’s Prohibited List of compounds, allowing athletes specific times during which they can’t be tested, or giving them privacy when providing the urine sample. The push for clean sport demands more surveillance, but at the same time, increasing calls for athletes’ rights logically implies less surveillance. A similar problem exists for the legal process. Do we maintain strict liability for positive doping tests even though there are so many inadvertent cases? (Or, as the recent Cardoso case in cycling suggests, cases where an athlete lacks the funds to mount a proper defense?) The next round of debates will show whether the anti-Russia calls for clean sport will empower athletes in ways that promote a more conservative or a more liberal agenda. Medium-term Prospects: If WADA’s current power base is seriously challenged, the anti-doping machinery could be at least partially deregulated. Sporting organizations at the National Governing Body (NGB) level may therefore need to take more responsibility. This could be constructive if it leads to tailored forms of education, testing that focuses on the specific risks for each sport (or events), and sanctions that are appropriate to the effect of the substance and the lifecycle of the athlete’s career. However, it could be destructive if sports leaders start behaving in ways that seek to avoid scandals rather than catching the cheats – something which various NADOs have been accused of in the past. It could also represent a negative trend if the individual NADOs were to set overly punitive standards, or if different NGBs head in radically different directions. More pragmatically, many national organizations simply do not have the financial or human resource capacities to undertake more anti-doping work. Without the oversight or direction of a centralized body, this shift could have the opposite effect – weakening the system and exposing athletes to new doping cultures, rather than extinguishing those behaviors – as unscrupulous athletes, coaches and doctors sought to exploit any cracks in the system. One solution could be to separate some of the functions that comprise anti-doping. There could still be an international coordinating agency that sets broad policy and expectations, organizes testing, and acts as a watchdog to ensure that sports organizations implement anti-doping consistently. Each sport could then seat an anti-doping committee to look after the education of its own athletes, ensure doctors and coaches undertake ethics training, and negotiate sport-specific Prohibited Lists. More progressively, the sport-specific bodies could offer support to athletes who are sanctioned – so that they could deal with their circumstances or substance misuse problems – and perhaps return to the sport one day without a stigma hanging over them. In an ideal world, each sport could be responsible for raising funds to finance their anti-doping efforts through a tax on profit-making clubs and events, with commercially successful sports acting cooperatively to subsidise smaller, less popular sports. Sponsors and media organisations could also be compelled to donate to anti-doping for each of the sports with whom they are financially involved. Long-term Prospects: But perhaps the longer-term and more sustainable solutions lies in rethinking the vision for clean sport to focus primarily on what is most important – athletes’ health and their long-term well-being – in a way that is truly achievable, rather than idealistic and utopian. A first step forward could be to reorganize the List of Banned Substances and Methods. At present, any substance or method can be banned if it meets two out of three criteria: potentially enhances performance, potentially poses a risk to health, or “contradicts the spirit of sport.” A more equitable foundation can be built if substances or methods can only be banned if they are both performance enhancing and unhealthy. For example, if an athlete finds a way to build muscle or lose weight that is not unhealthy, then perhaps that should be accepted. If an athlete takes a drug that may be unhealthy but does not impact sports performance (including various medicines or recreational substances), that is their own private business and not relevant to anti-doping. A second step could be to focus testing only on time periods just before or relevant to competition (or with the occasional random test to deter rampant abuse). These tests would not focus on analysis geared to identifying specific substances or enhancement methods but instead would be geared to improving athletes’ health. 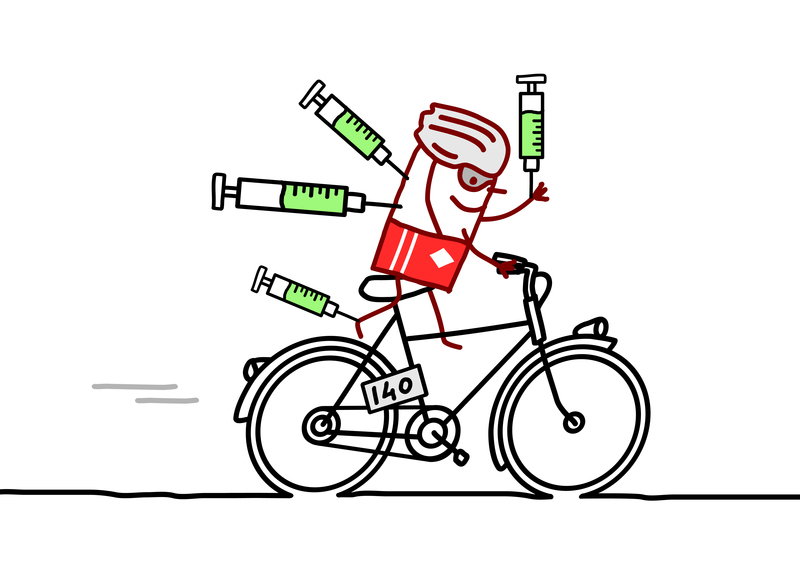 A similar approach was used in cycling before a reliable test for EPO was developed; cyclists with a haematocrit level of 50% or above had to miss the race and could only return once their blood levels were acceptable. If such a model was rolled out to other sports, and a wider set of health parameters measured, it would allow athletes to use certain drugs and methods that are currently banned, but perhaps only in moderate ways that would not impact negatively on their health. For some drugs with threshold levels that are widely used for doping, such as EPO, this process already occurs but on a clandestine basis. These two steps would need to be supported by a more substantial education system. Again, in an ideal world, the athletes from a young age could be taught about healthy nutrition and the pharmacology of legal supplements and other substances to enhance performance. They could be advised on how to protect their own health in order to make good decisions. The current prohibition model undermines self-determination and leaves athletes exposed to peer pressure or unethical expectations from their coaches. The bottom line here is that empowering athletes is not a risk; it is an opportunity. There would be many benefits for athletes of a new and more health-focused system: much less surveillance and scrutiny; lower chances of accidental use of a banned substance; and support and advice if found over the health limits – rather than simple punishment leading to stigma, loss of earnings and isolation. It might also allow leading sports organizations to better engage athletes, ask for their input in decisions, and treat them like adults who can make their own choices. Finally, this type of system would be fairer and more transparent: all competitive athletes could be located and tested when they arrive for a competition, and it would be relatively easy to focus on the podium places. WADA is at a turning point. The next few months will be a challenging time for those leading the charge in anti-doping policies and practices. It will also be an opportunity for governing bodies, athletes, and fans to consider the alternatives, no matter how unorthodox these may seem on the surface. Doping and anti-doping are not black and white concepts that can or should always be rigidly defined. Out of the crucible of the current crisis will hopefully emerge innovation and a renewed sense of purpose that embraces the athletes’ opinions and offers a platform for them to be more involved in the outcome. After all, it is their careers and health that are on the line.